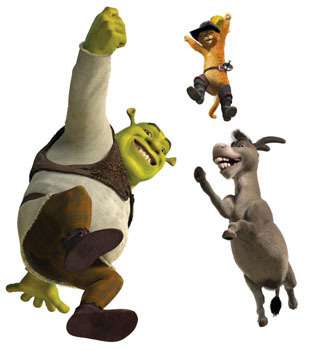 shrek the fourth photos: shrek, puss and donkey. . Wallpaper and background images in the Movies club tagged: movie film image photo promo comedy shrek 4 four the forth.